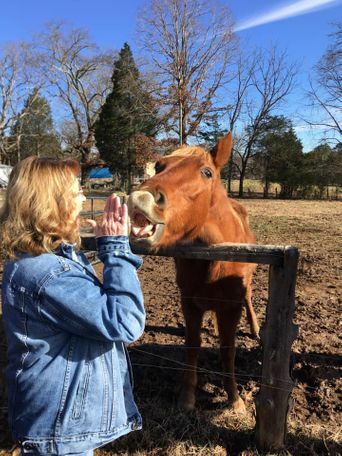 Ajax is a 1994 registered Tennessee Walking Horse. Ajax is a bit of a “rough ride” for a gaited horse as he is pacey, though he seems like quite the seasoned trail horse. He currently does not have shoes on and had a lot of time off before he was surrendered to Faith N Friends. With an experienced rider behind the bit he would likely be able to come back into the rack. His feet are in great shape and his teeth are too. He loads and trailers well. He offers nothing mean at all, and tacks and grooms like a pro. He will come right up to you in the field and simply want to be loved on. Since we have had Ajax, he has probably gained 40-50 pounds! He still is more underweight than we would like but we are managing his diet until he finds his forever home. He rides very well! So far his only issue is that he is a tad buddy sour with his herd mate. He is up to date on all shots, coggins, and dewormer. Ajax needs someone to give him the loving and caring home that he truly deserves! 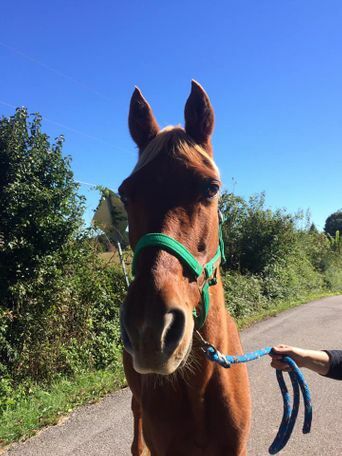 He is a beginner friendly horse! 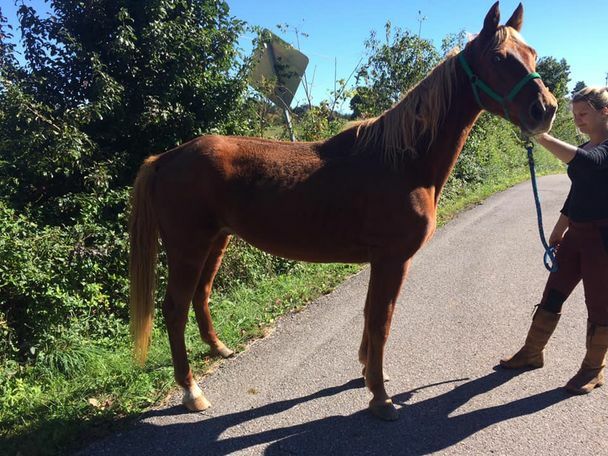 Ajax was surrendered to Faith N Friends Horse Rescue and Sanctuary in October after his owner could not take care of him and his herd mates any longer. 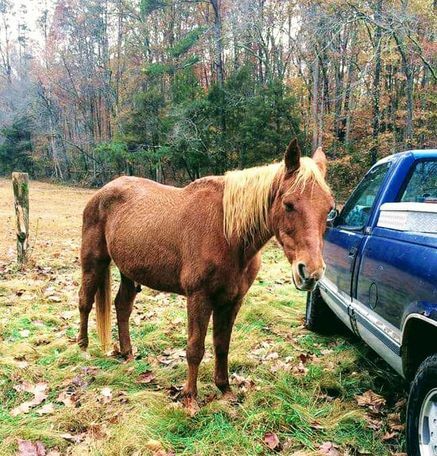 His previous owner was sick with cancer and simply could not give him and her other horses the care they needed and deserved. Ajax had sat in the field untouched for years before we brought him back to us with 5 other of his herd mates. He was very underweight and attached to one of the mares of the herd at first. Since then we have put weight on him and broke him up from the original herd. He can get a bit attached to whatever horse he is living with but it never effects him under saddle. He knows what his job is as his rider mounts him and he is ready to go. 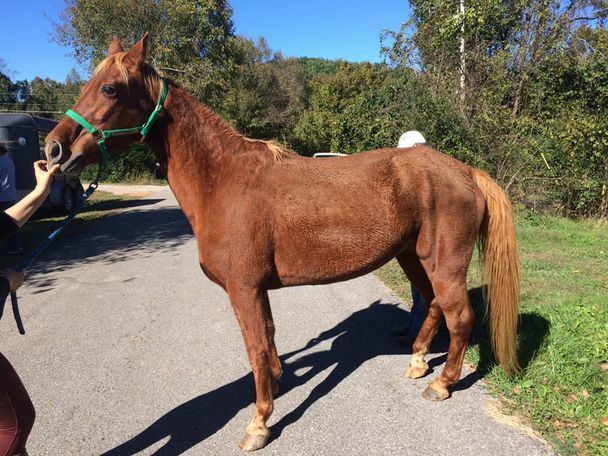 Though older, this horse still has lots of miles left in him and just wants a person he can please daily.